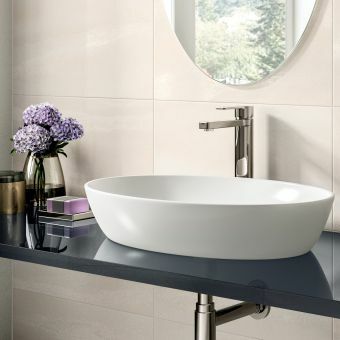 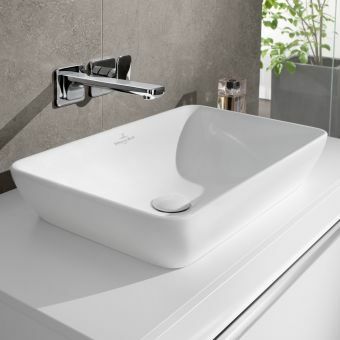 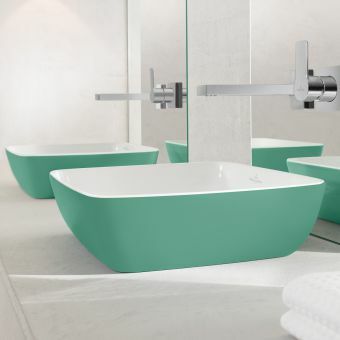 A highly fashionable and beautiful piece of bathroom ceramic ware, this basin from expert designers Bauhaus makes a breathtaking addition to the contemporary bathroom space. 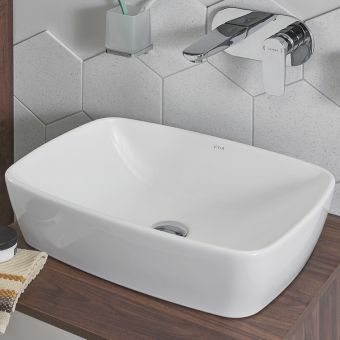 Crafted into an upturned, scalloped form, this standalone basin brings a sense of tranquillity to the wash area. 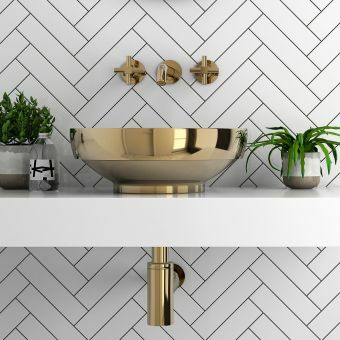 Coupled with a countertop, it can co-ordinate with a range of different materials for a stunning effect. 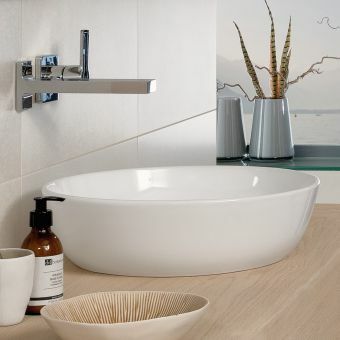 Match it with natural wood for a more organic look, or with a mineral surface for a stylish, continental appearance. 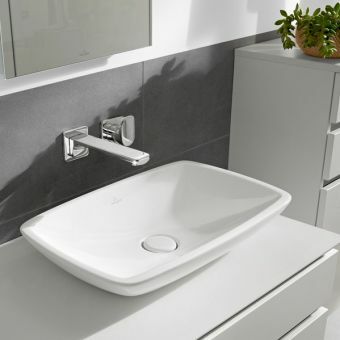 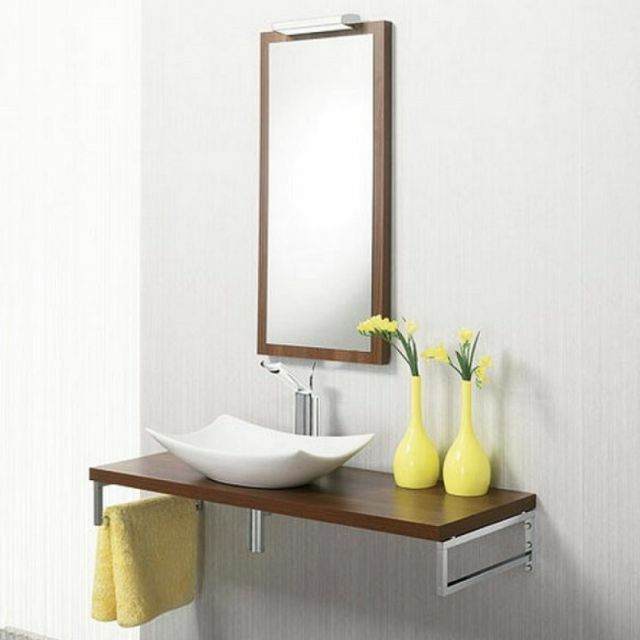 This model is supplied without a tap ledge, and is suitable for use with free-standing mixers or wall-mounted taps for a unique look. 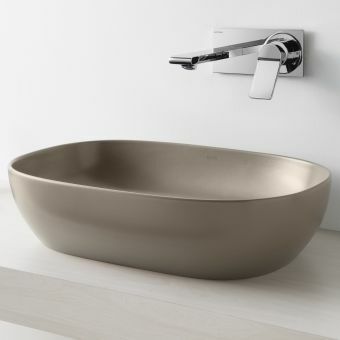 This basin measures 570mm in width, 320mm in depth and 145mm in height.